James L. McDermott, 73, of Dubuque, passed away on Friday, January 11, 2019, at the University of Iowa Hospitals and Clinics. Visitation will be held from 4 until 7 p.m. on Tuesday, January 15, 2019, at Leonard Funeral Home and Crematory, 2595 Rockdale Road. Funeral services will be held at 10:30 a.m. on Wednesday, January 16, 2019 at the funeral home with Pastor Rick McDermott officiating. Burial will follow in Mount Olivet Cemetery. Jim was born on May 27th, 1945 in Hazel Green, WI the son of Catherine (Virginia) Morris and John McDermott. He was educated at the University of Rhoads (Roads). On April 24th, 1965 he Married Shirley Westemeier in Cascade, Iowa. His employment history includes; Flying Irishman Thrill show, Dubuque Gasses and Steel, Truck Driver, CyCare, and HBO Systems. 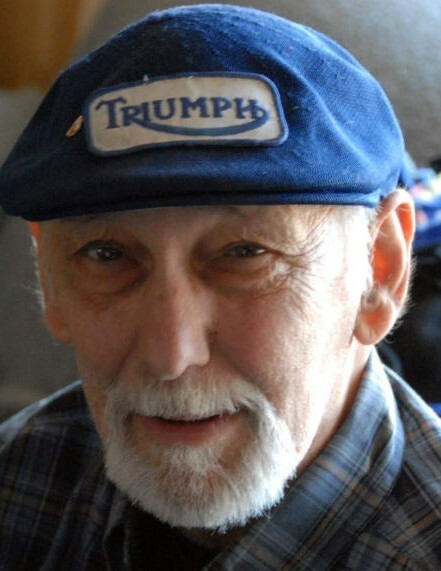 Jim was a member of AMA Motorcycle Jumpers, AMA Flat track racer, NRA and Make America Great again. Jim enjoyed hunting and trapping for many years. Early years included stock car racing. He continued to race motorcycles and enjoyed swapping stories with other racers. He encouraged his children to achieve success through Electrical engineering. The family wishes to thank everyone for the kind thoughts during the long 5 months of hospital care.